The manual gearbox was first dropped on the Legacy sedan, then the 2015 Outback and now the 2019 Subaru Forester. But it won’t be axed on the next-generation Subaru WRX. Subaru of America boss, Tom Doll, told Australian website Drive at the New York International Auto Show, the WRX 6-speed manual will continue on. The main reason why the 6-speed manual option is going away on other Subaru models is that Subaru wants to have their most popular models come standard with EyeSight driver assist like the all-new Ascent 3-Row family hauler making its dealer launch next summer. Forester is launching the next-generation 2019 Forester with standard EyeSight as well. EyeSight isn’t compatible with the 6-speed manual models, and can only be used with the Lineartronic CVT automatic. The Subaru brand will continue to pursue safety first, and EyeSight-equipped models earn the highest Top Safety Pick+ awards from IIHS. Subaru improved the Japan-spec 2018 WRX S4 this month and will release the new performance sedan with the improved EyeSight driver assist system on June 7. The 2018 Subaru WRX continues to be one of the safest compact performance cars on the planet. 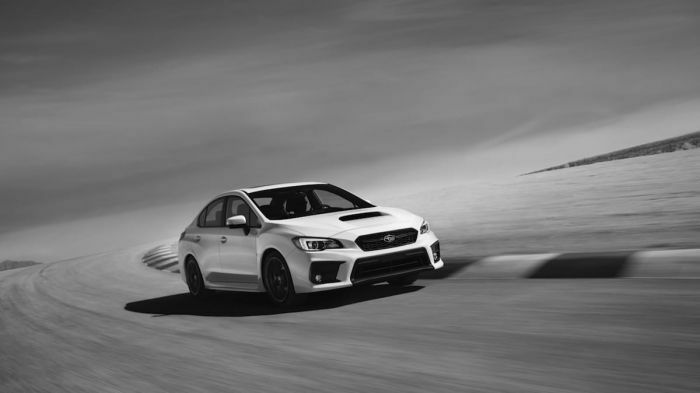 It doesn’t look like Subaru will ax the WRX 6-speed manual gearbox in the pursuit of safety. "We'll still have manual transmissions in our performance line like for the WRX": finally a good news! It remains now to know what will be the next "performance line" at Subaru: only BRZ, WRX and WRX STI? All other Crosstrek, Forester, Legacy and Outback will never be sporty anymore? That would be sad, no? My follow up question would've been, "I hear a lot from WRX owners that the existing manual is very notchy among other things. So now with fewer models in your lineup with a manual transmission does that mean Subaru is less like to put money/time into improving its manual transmission going forward? Will Subaru still strive to improve all aspects of their cars particularly the manual transmission, with the hope of getting it to the level of say Mazda's manual transmission's performance and feel??" I've been a long time driver of the Forester manual transmission. I know that they are getting rid of manual for the 2019 Forester but heard that it will possibly be back in the 2020 Forester. Is that possible?